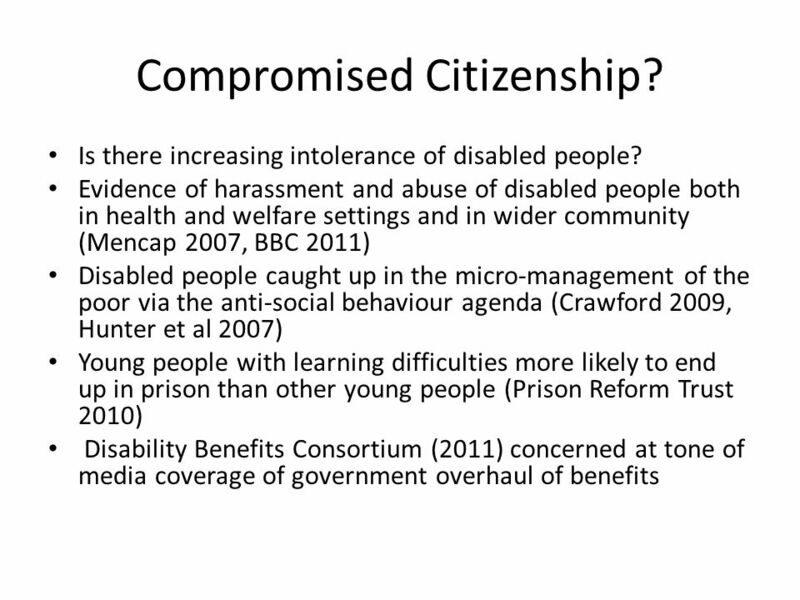 Risk and Citizenship: Disabled People and the UK Labour and Coalition Governments Anne Chappell Department of Criminal Justice and Social Studies Buckinghamshire. 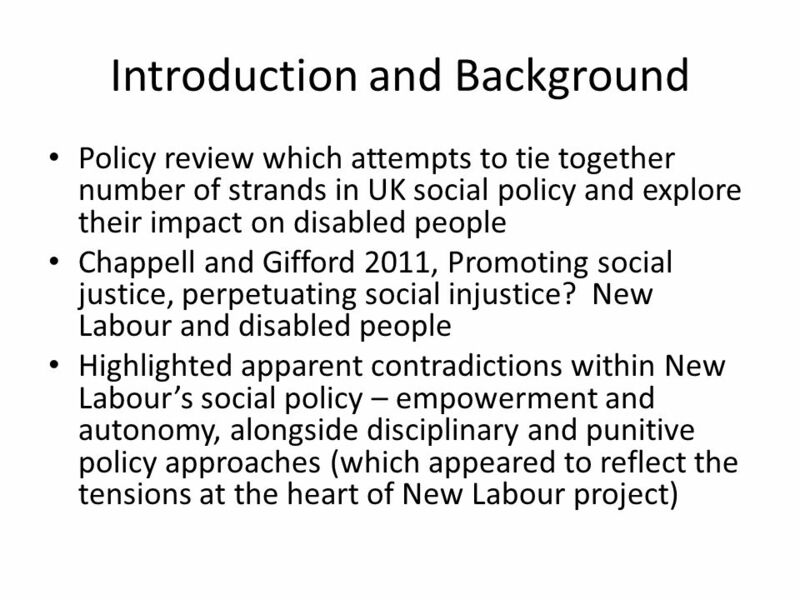 3 Trying to join the dots Are these policy themes contradictory? 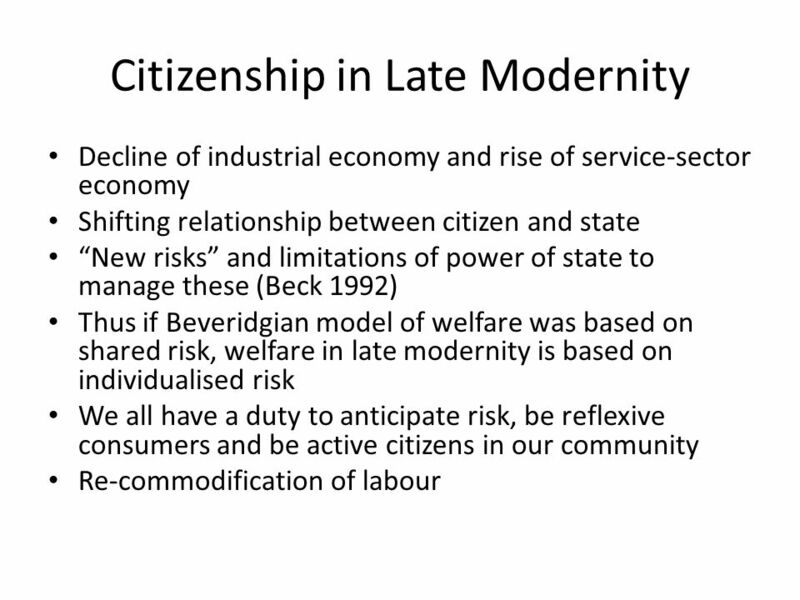 Can they be understood using concepts of citizenship, consumerism and risk in late modernity? 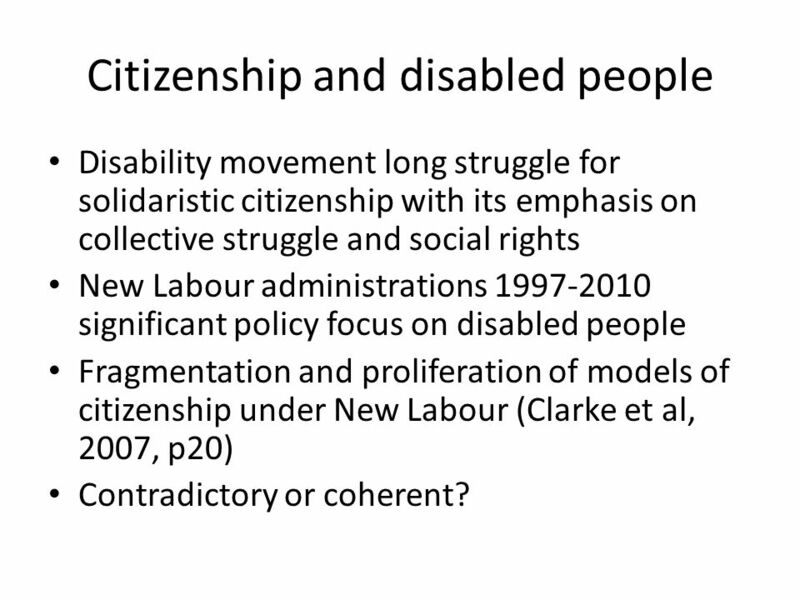 6 Citizenship and disabled people Disability movement long struggle for solidaristic citizenship with its emphasis on collective struggle and social rights New Labour administrations 1997-2010 significant policy focus on disabled people Fragmentation and proliferation of models of citizenship under New Labour (Clarke et al, 2007, p20) Contradictory or coherent? 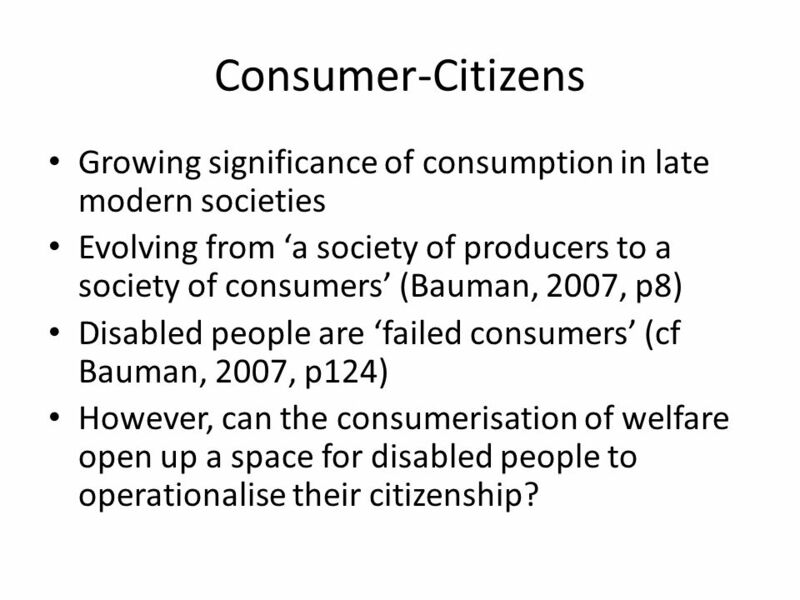 9 Consumer-Citizens Growing significance of consumption in late modern societies Evolving from ‘a society of producers to a society of consumers’ (Bauman, 2007, p8) Disabled people are ‘failed consumers’ (cf Bauman, 2007, p124) However, can the consumerisation of welfare open up a space for disabled people to operationalise their citizenship? 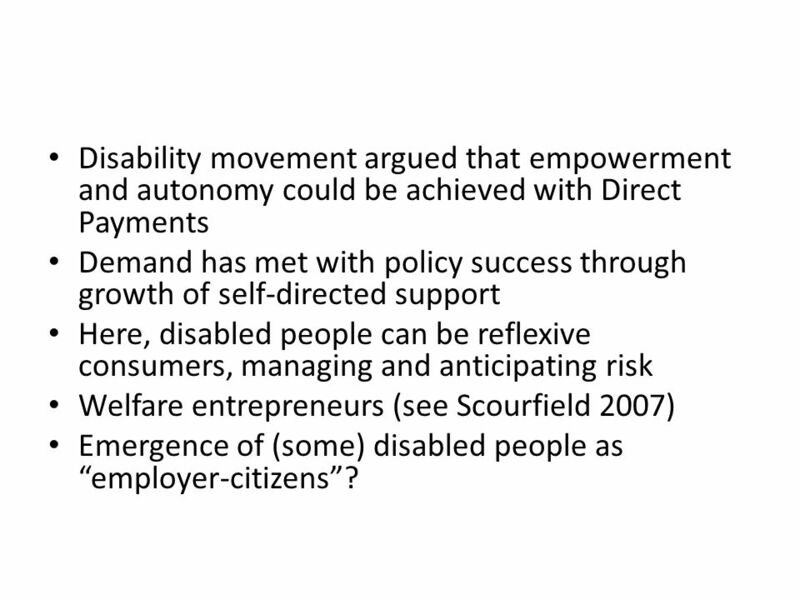 10 Disability movement argued that empowerment and autonomy could be achieved with Direct Payments Demand has met with policy success through growth of self-directed support Here, disabled people can be reflexive consumers, managing and anticipating risk Welfare entrepreneurs (see Scourfield 2007) Emergence of (some) disabled people as “employer-citizens”? 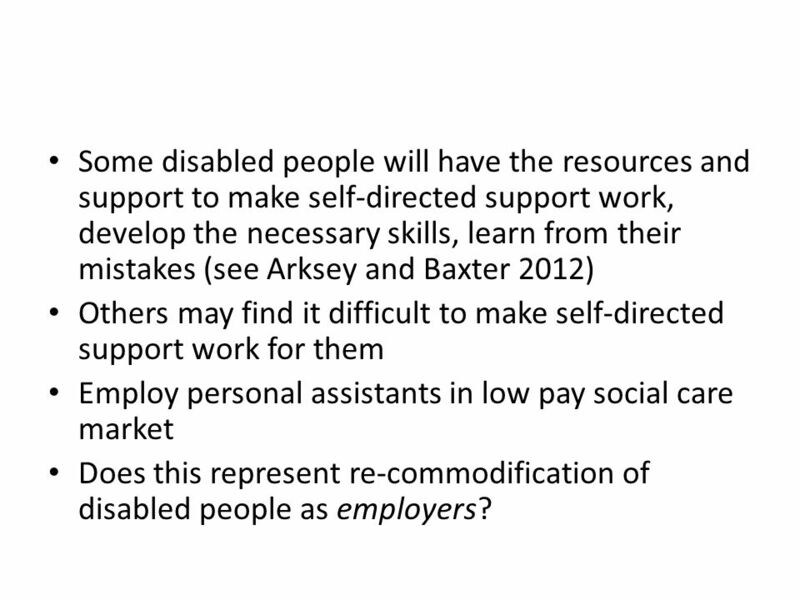 11 Some disabled people will have the resources and support to make self-directed support work, develop the necessary skills, learn from their mistakes (see Arksey and Baxter 2012) Others may find it difficult to make self-directed support work for them Employ personal assistants in low pay social care market Does this represent re-commodification of disabled people as employers? 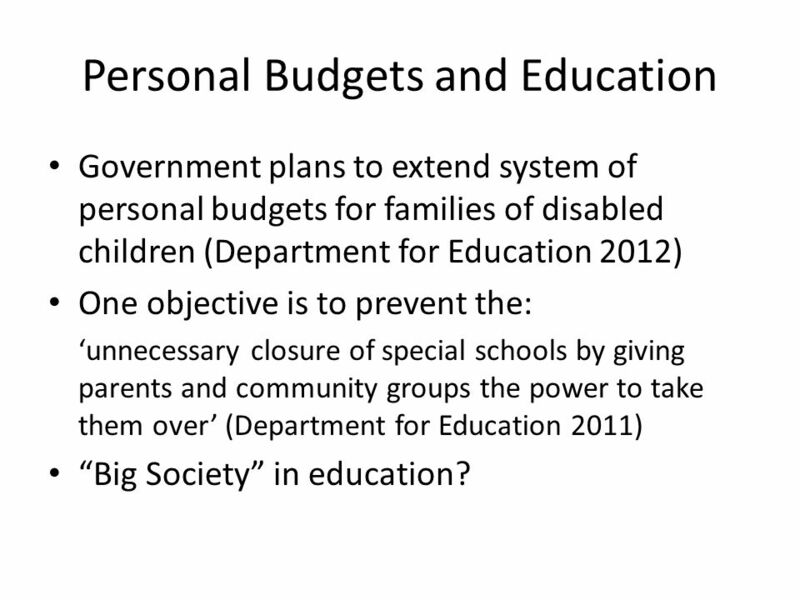 12 Personal Budgets and Education Government plans to extend system of personal budgets for families of disabled children (Department for Education 2012) One objective is to prevent the: ‘unnecessary closure of special schools by giving parents and community groups the power to take them over’ (Department for Education 2011) “Big Society” in education? 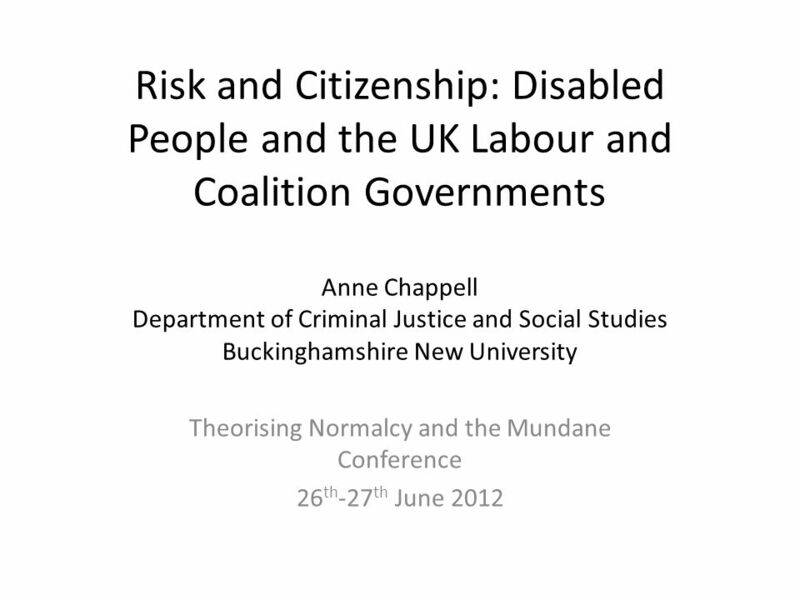 Download ppt "Risk and Citizenship: Disabled People and the UK Labour and Coalition Governments Anne Chappell Department of Criminal Justice and Social Studies Buckinghamshire." Getting Voices Heard Researching poverty with young people, reflections from a facilitator. 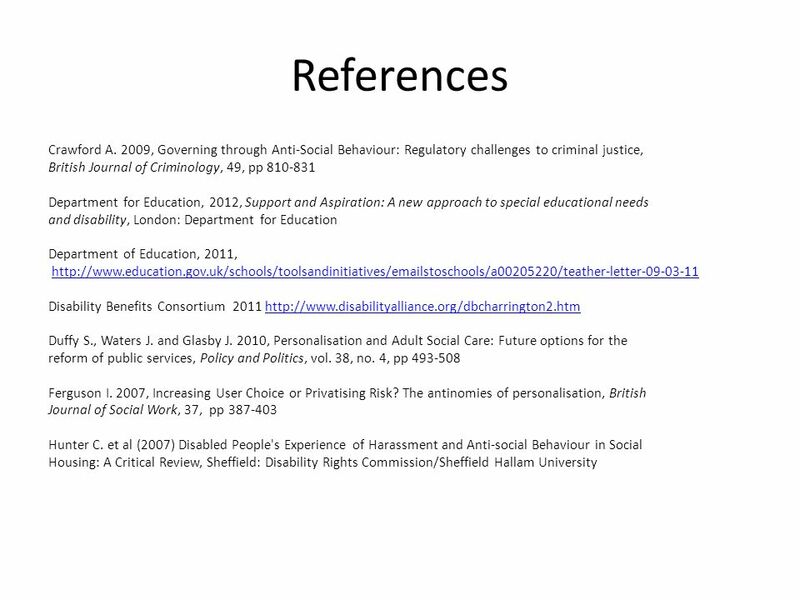 Fiona McHardy : Community Research Officer. 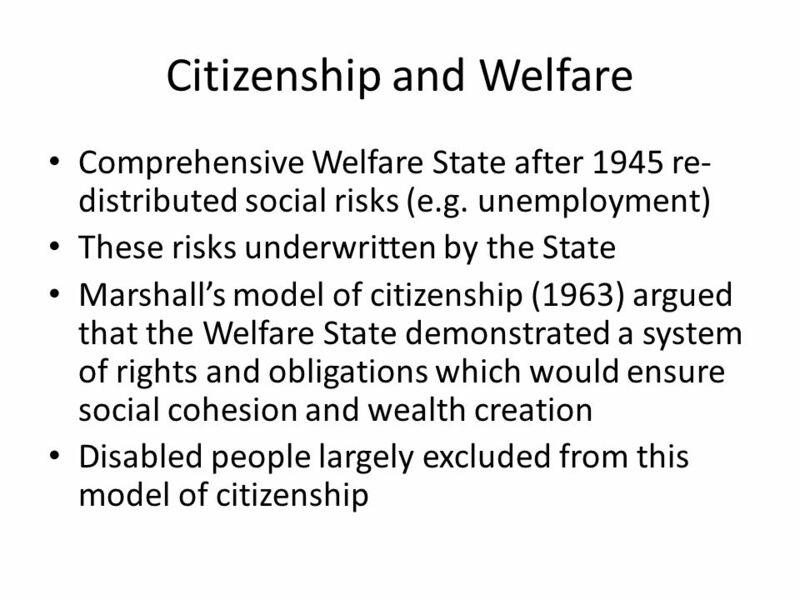 The UK National Reform Programme: Achieving a Balance? ACW/MOC/ACV/CSC Conference Brussels 19 September 2011. 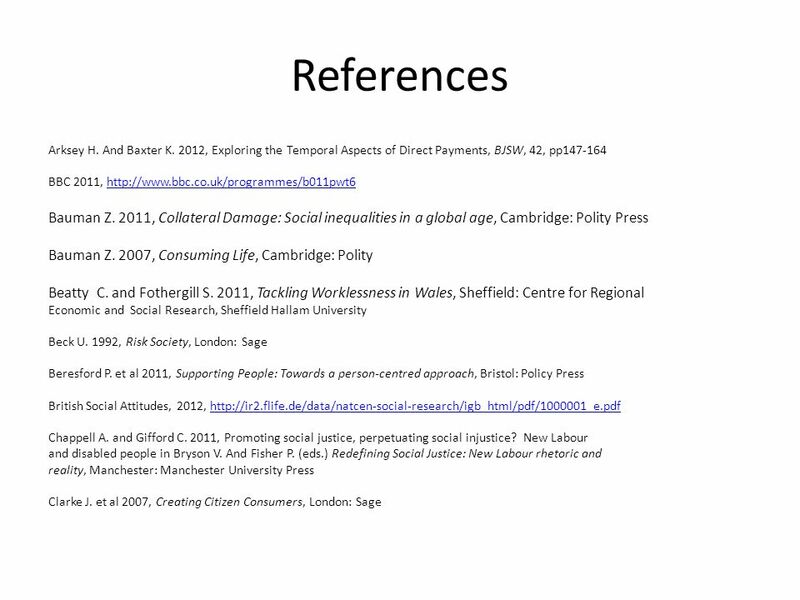 Active Labour Market Policies in the UK - What Lessons Can Be Learned from the British Experience? 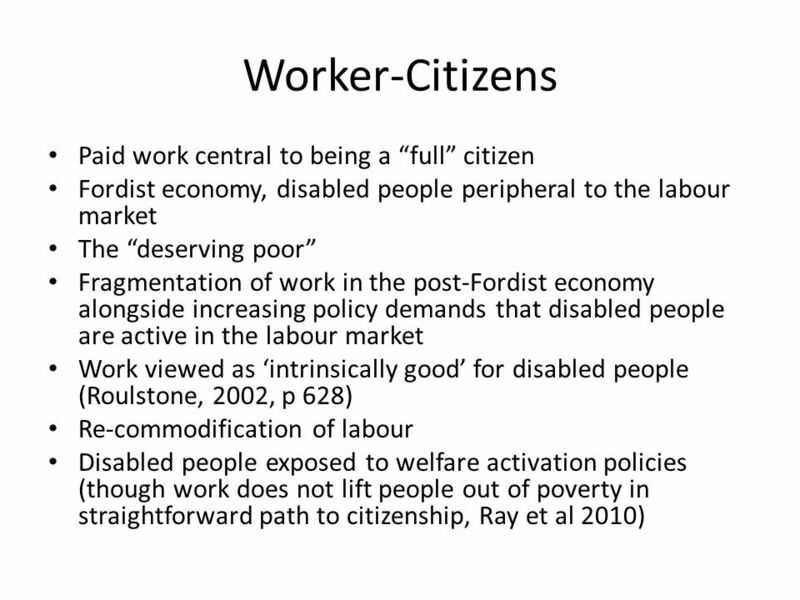 Michelle De Cort Economy and Labour Market Policy. 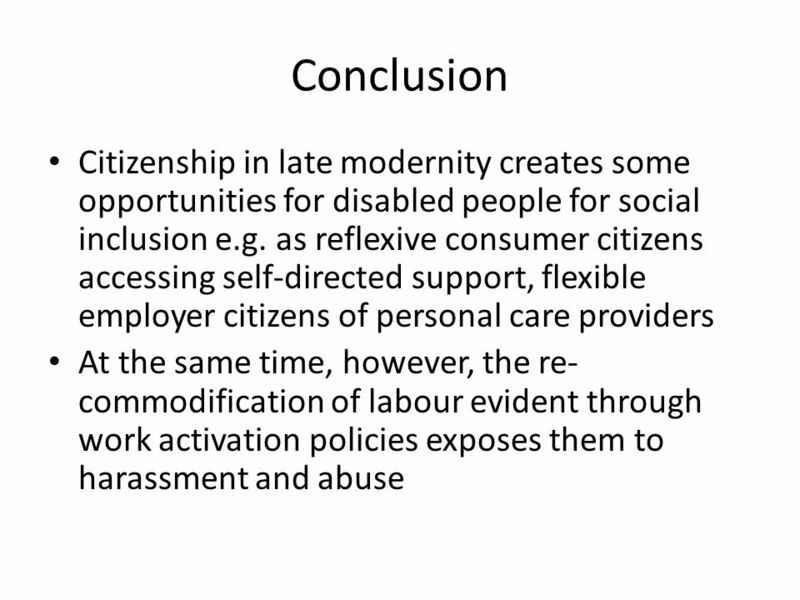 Now its Personal: Achieving citizen-centred welfare. Caring for our future - the White Paper engagement exercise: the market in care services Name of presenter, as part of the Department of Health engagement. In Practice the theory is different. 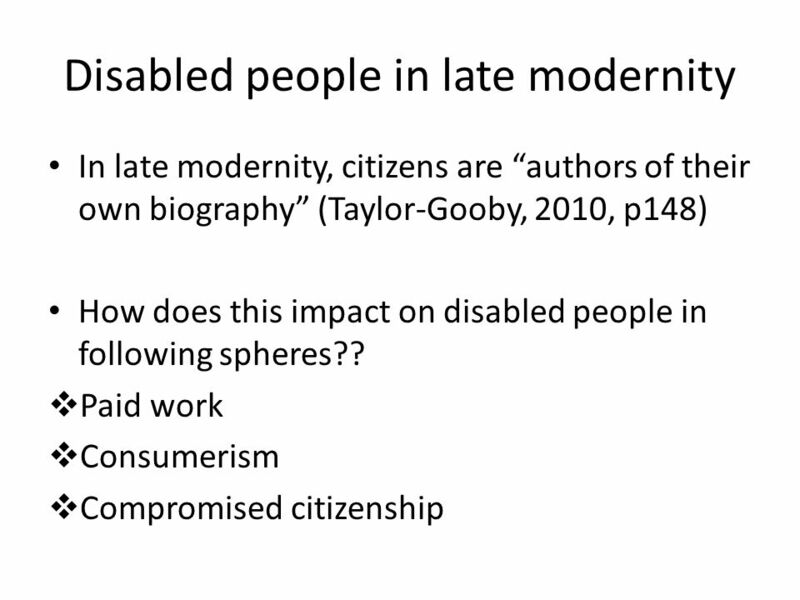 Al Roulstone De Montfort University UK. Independence, Well-being and Choice Our Vision for the Future of Social Care for Adults in England. Youth Employment crisis 2013 A generation at risk – Time for Action Marta Makhoul International Labour Office for the EU and the Benelux countries. 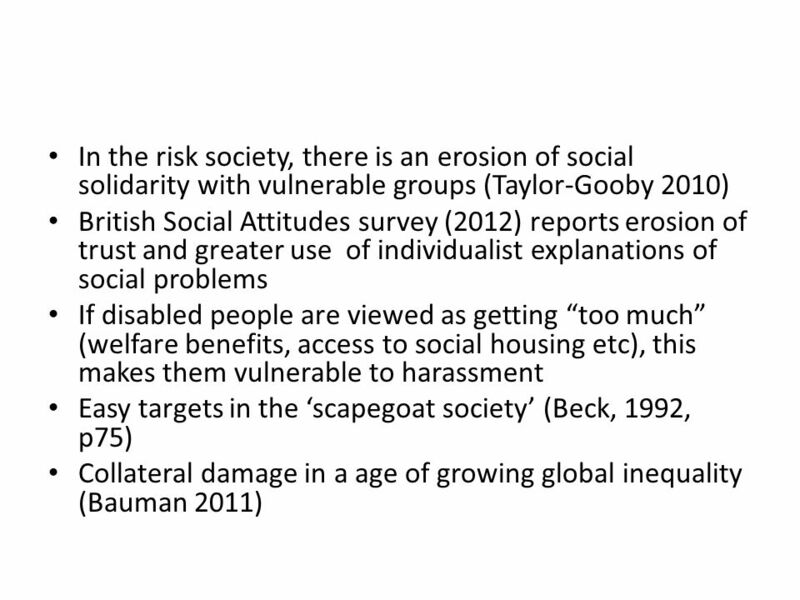 SOCIAL CHANGES AS GENERAL CONDITIONS FOR SOCIAL WORK. CASE OF LITHUANIA Vilnius University, Faculty of Philosophy, Berlin, International Conference, 15th. Partnership Approaches to Preventing and Tackling Child Poverty 17 October 2011 James Hardy Children Schools and Families Locality Manager. 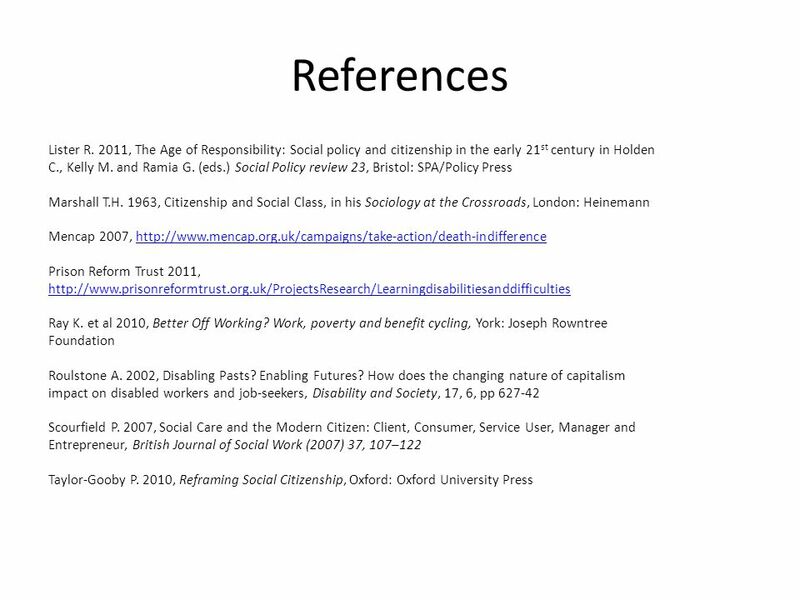 Sociology and Social Policy www.educationforum.co.uk.